Fairly certain they correspond to what each studio is working on. Yep, it's 3 games by 3 separate studios. Former Dawn of War/Company of Heroes devs working on an AoS strategy game has piqued my interest. Age of Sigmar has me frothing, Would love and RTS with Sigmarines. I'll take anything Warhammer related though. 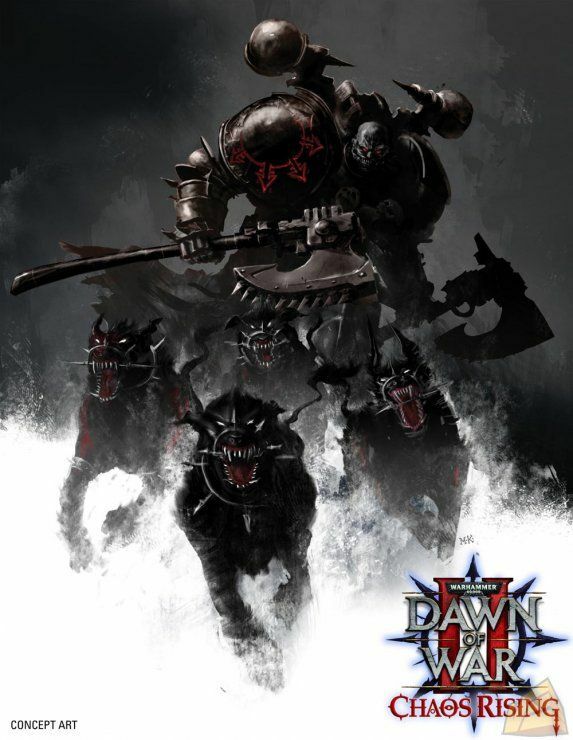 I am all about the new WH40K art. I don't care about the games though. Are they gonna try and make another esports game or did they learn their lesson? I wonder what the middle one will be like, its the most generic banner and it could be anything from generic Imperium to SoB. Streum On project seems very interesting, sounds almost like a Deus Ex/Thief but in 40k, Im down with that. I wonder if the middle one (protect. redeem. purge) is for arbities and is a shooter of some sort. That sounds interesting and fun! 1st one is likely for Rogue Trader, and the 3rd is obvs AoS. Neither really piques my interest, but we'll see when the 1st has more details released. There's only 2 of us who went through the THAT negative experience and weird internal/external pressures that led to those extreme circumstances are a lifetime removed here. nevermind that, this is going to be it's own thing from the ground up. Edited by Wispy, 11 April 2019 - 03:33 PM. Our AD who made the art for that third banner also did this classic bit of 40k art some of you might remember. Is the first one Necromunda, like a bounty hunter game? The fact that it says descend and collect... Dude looks firmly imperial though, which might work for a mid/up-hive venator. While I appreciate you probably can't tell us anything about the game at this stage, can we assume from your comment that you're collectively able to make the game you want, rather than the game the money overlords want? Well no one in my career has really said 'make dis game dis way.' most projects have different goals and pressures and it's up to you how to meet them. Sometimes it puts you in unfamiliar territory and you're forced to make decisions you wouldn't otherwise make to navigate it. In this case, we pitched this to them and they liked it. I'm starting off in a place where I can effectively follow my own creative instincts to get to where we want to go. Edited by Wispy, 11 April 2019 - 03:52 PM. I wonder which one will be the battle royal. But that would kinda be PERFECT for the 40k setting, no? Have it all be set in Dark Eldar Gladatorial arenas? Didn't Roadhouse make something like this or tried to? They did. It went belly up during alpha/early access. It played really, really badly from what I remember. Actually quite looking forward to the AOS one! Not too fussed about a Imperial Assassin type shooter game. Need to know more about the middle one. Edited by Slips, 12 April 2019 - 12:50 AM.